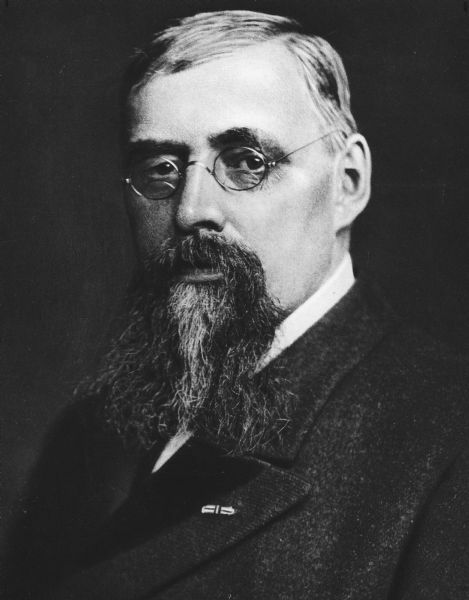 Head and shoulders portrait of a bearded James B. Pond wearing eyeglasses and his Medal of Honor rosette. Pond was a member of 3rd Wisconsin Cavalry. Photograph donated by Pond's son, James B. pond.